Beepi is a Los Altos, California company offering an online peer-to-peer marketplace for buying and selling used cars, where transactions can be carried out entirely with a smartphone or a PC. It was launched in April 2014. 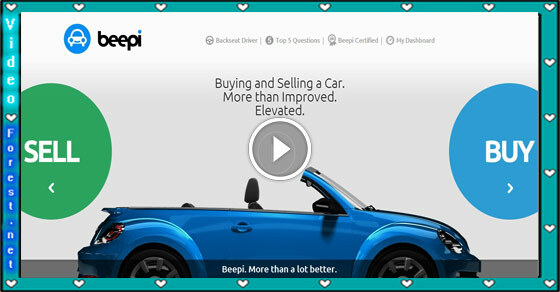 Beepi is a peer-to-peer marketplace. Cars undergo an inspection and are listed on Beepi's website for a fixed sales price, with Beepi taking up to a 9% commission and buying unsold cars after 30 days. While buyers do not personally inspect or test drive the car before purchase, they have a 10-day return window after delivery and a warranty. With no sales force or showrooms, autos startup Beepi is aiming to change the way people buy and sell used cars, by connecting buyers with an app and an algorithm. In following video Beepi head of content and former Indy car race driver Alex Lloyd joins Shelby holliday to discuss about the functionality and success stories of Beepi.